The closing ceremony of the 18th Asian Games was held at the Gelora Bung Karno Main Stadium in Jakarta, Indonesia, on September 2. 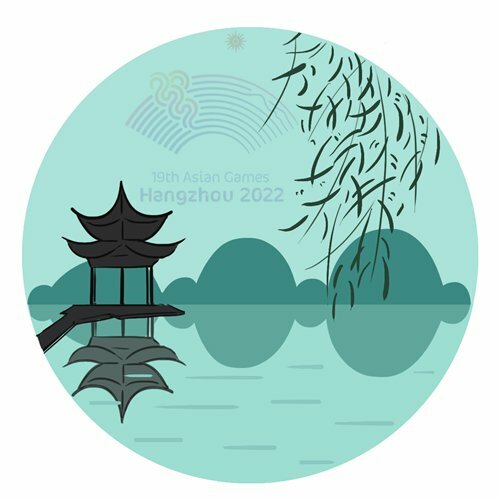 Because Hangzhou, capital of East China's Zhejiang Province, is the host city for the next Asian Games in 2022, Chinese representatives joined the flag handover ceremony in Jakarta and gave an eight-minute cultural performance to audiences worldwide. Their performance began with a Hangzhou girl standing on a virtual lotus leaf, pouring virtual water onto the stage from an ancient pottery jar. A group of Chinese female performers in traditional clothes danced to the melodious music of ancient Chinese instruments. Another highlight of the performance was a modern dance led by Chinese idol Yiyang Qianxi; the dance symbolizes Chinese people's sporting spirit. Notably, Jack Ma Yun, founder of Alibaba Group, also appeared at the end of the performance as an outstanding representative of Hangzhou citizens. The brief performance marked that the Asian Games will arrive in Hangzhou. Originally from Zhejiang, I myself was very proud to see my provincial capital become the next host city. Our city has been investing heavily in its infrastructure, landscape, and cultural environment. For instance, authorities of Hangzhou planned to launch 13 metro routes, with a total length of 375 kilometers, news.hangzhou.com reported in September 2018. These routes will connect different stadiums for the games. Furthermore, local authorities encourage citizens to improve their English abilities. One community in Xiaoshan district of Hangzhou organized English courses for its senior residents, people.cn reported in April. With a better English level, Hangzhou citizens will better be able to communicate with visitors from all around the world in 2022. Apart from conscientious preparations by the local government, I believe the city itself has much to offer visitors worldwide. After visiting so many cities in China and overseas, I am most charmed by Hangzhou's beautiful natural environment, friendly society and innovative entrepreneurial spirit. In terms of landscape, Hangzhou is credited as "heaven on earth," as the city possesses some of the most beautiful lakes and mountain views in China. Hangzhou is my favorite place to escape from the hustles and bustles of Shanghai. Walking around West Lake or inside Xixi National Wetland Park, I can immerse myself in the fresh fragrance of natural plants and calm my mind while enjoying tranquil lake views. In addition, the friendly social environment impresses me a lot. While crossing roads in Hangzhou, few drivers cut me off or honk their horn; they always give pedestrians the right of way no matter if it is a red or green light. During a trip to Hangzhou this May, my friend left her bag at a small restaurant. Two hours later we realized it was missing; we didn't expect to find it again. To our surprise, when we returned to the restaurant, the bag was still there on the same seat. We couldn't believe that no one had stolen it! Hangzhou is also rising to become a leading tech hub in China. The headquarters of Chinese tech giants Alibaba and NetEase are based in Binjiang district. They have created numerous job opportunities for Chinese young adults. Many of my peers in the tech field chose to start their careers in Hangzhou rather than in Shanghai, Shenzhen or Beijing, as they saw more abundant opportunities and resources. The advancement of internet technology in Hangzhou has reshaped local people's lifestyle. Hangzhou was the first Chinese city that widely adopted e-payments in public transportation, Chinanews.com reported in 2017. While I was still using my metro card in Shanghai, my friends in Hangzhou had paid for their tickets on the bus and metro via Alipay or WeChat. Furthermore, individuals with a high Zhima credit score (a credit system launched by Alipay) can also scan a QR code to borrow an umbrella for free around the city. As a Zhejiang local, I believe my city deserves more attention from people worldwide. The 2022 Asian Games is a great opportunity for the rest of the world to know more about this fast-developing city of East China.